Do female athletes have to expose more skin to attract more audience? 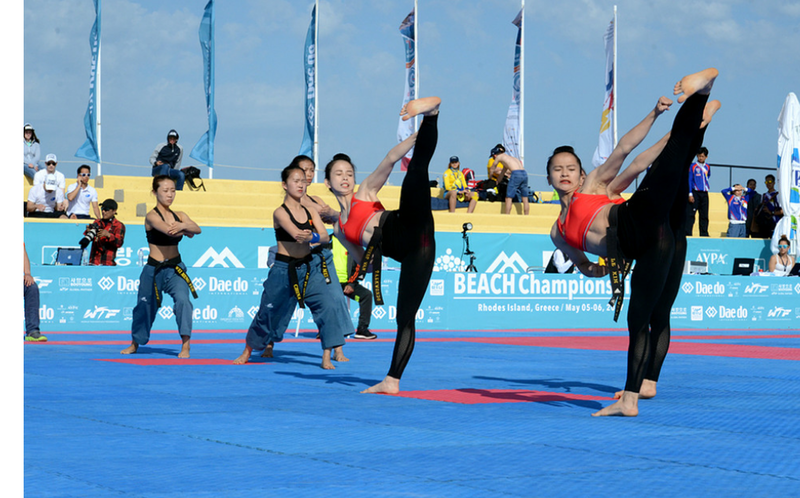 The beach taekwondo championships just started, it is nice to improve our martial art and make it more popular, but there should be some limits to keep the martial art more respectful as it used to be. Do female athletes have to expose more skin to attract more audience? What are your opinions? BTW, we have nothing against these beautiful talented young athletes, and we are not here to judge them. 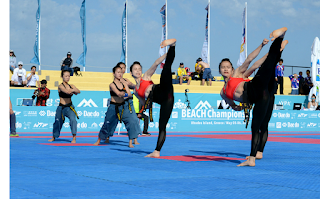 But the question as we mentioned is: should WTF adopt these type of cloths during official Taekwondo competitions? Absolutely the wrong way to go. If you ask most men why the watch Beach Volleyball, it isn't because they like volleyball. It's the women in bikinis. If we have to lower our standards to that level, then something is drastically wrong. 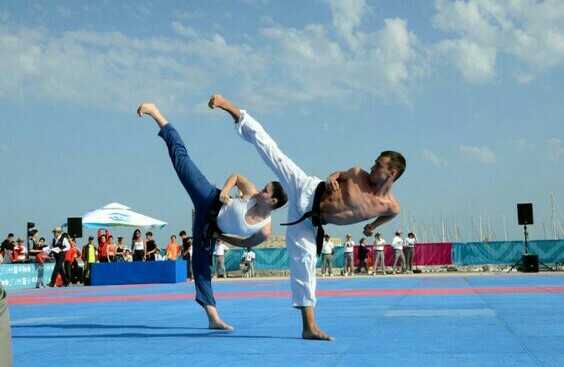 Do NOT lower the standards of TKD. All it does is make others watching not take the sport and skills seriously. The Men exposed way way way more skin.... and most certainly they attract the ladies too... (Hears feminists arguing) Not true? So then, how is it that the ladies go gaga over Abercrombie and Fitch models? Everyone likes to see a fit person, its appealing and it also shows that its possible to achieve that fitness, and gives those of us hope to be like that person. It is not what you wear that makes the martial art, but your attitude and the way you do it. There is a place for everything and there is no harm done when new ideas come along. Old things, new places, new clothes, is that such a threat? Much as I prefer dobok for official things, I think the argument is void. MMA female fighters wear shorts and sports tops and people aren't tuning into UFC to discuss their bodies. O think better is use the traditional clothes.